News TV Channel / KTVU, channel 2, is an owned-and-operated television station of the Fox Broadcasting Company, licensed to Oakland, California, United States and serving the San Francisco Bay Area. 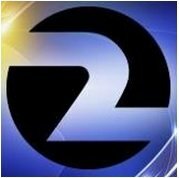 KTVU is owned by the Fox Television Stations subsidiary of 21st Century Fox, and operates as part of a duopoly with independent station KICU-TV (channel 36). The two stations share studio facilities at Jack London Square in downtown Oakland; KTVU maintains transmitter facilities at Sutro Tower in San Francisco.